"I Wanna Write a Book, But I Hate Reading." I've seen more than a few of these types of posts and each time, I scratch my head and feel annoyed. So you have a great idea, you think, or you have interesting characters and you want to tell a story. That's great! Go ahead and do that! But please read some books before you think you can write a story. I realize that there are different levels to writing a story---maybe you're writing as a creative outlet or you're writing fanfiction or you're writing a class assignment. Maybe writing is your hobby. I've been in these places; I think every writer has at some point. IWSG: What Made Me Think I Could This? 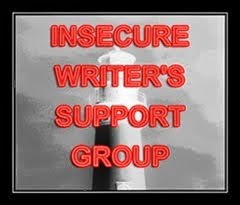 This is my first post as a member of the Insecure Writer's Support Group, which two of my blogging and writing group buddies are a part of--Karla Gomez and Randi Lee. 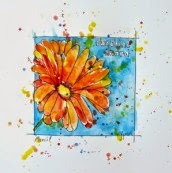 The IWSG is organized by Alex J. Cavanaugh and posts every first Wednesday of the month. To explain, I need to tell you a little about my WIP. At its most basic premise, this is what The Keegans of Banner's Edge is about: Barbados, 1799: Miles loses his wife, decides to return to his native England with his 2 daughters: one white, the other half black.